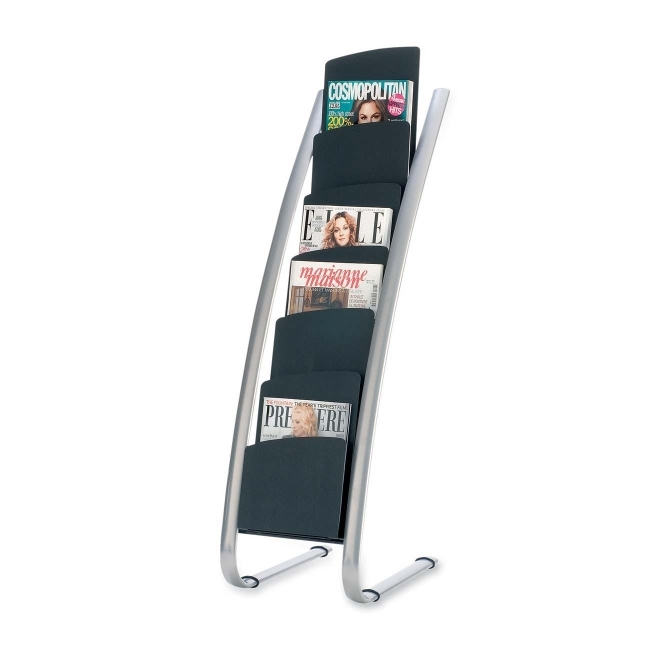 Literature display stand features a unique vertical design with a mix of metal and plastic with clean updated lines. Design makes it easy to identify documents. Easy-to-assemble stand offers a large capacity with six compartments. Metal has a powder-coat finish.